PIP, also known as Picture in Picture, is an effect often used to overlay some smaller videos on a background clip, which enables you to simultaneously display two or more video clips on the screen. It is an extremely useful technique to help you create convincing content when you make online tutorials, product demonstrations or game videos etc. The following guide will provide a step-by-step procedure for making PIP videos by using this feature. Import both your background video as well as overlay video clips to the media library of Filmora9. This can be done by either clicking the import button to choose from your local hard drive, or just dragging and dropping the video clips to the library. Choose a background clip and then drag it to the video track in the timeline below. Resize and Reposition the overlay clip: Click on a video on the PIP clip and you will be able to resize the clip by dragging the resizing handles on the clip in the preview window, or you can also drag it to any other place on the screen as you want. Simply choose one that you like, double click it to apply (or right click on it and hit Apply). Then preview the effects on the right. Not satisfied with the rectangular shape of your clip? Apply a mask effect to it. 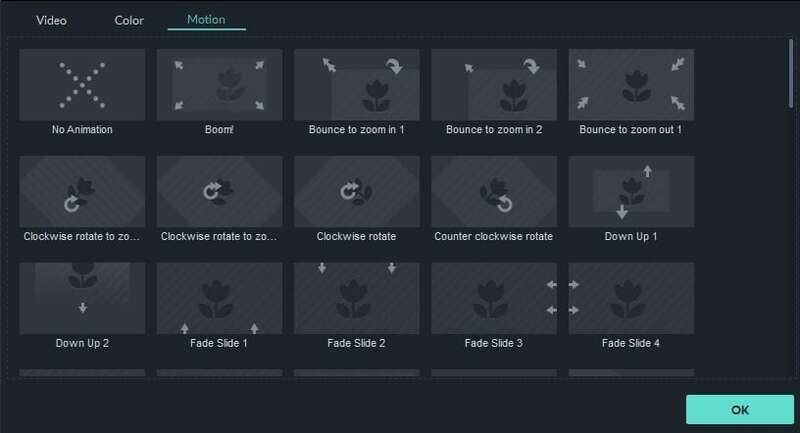 A click of the button brings up dozens of mask effects, which can be utilized to adjust the shape of your media file. Go to Effects > Filters > Utility > Shape Mask. Note: you need to drag the mask filter onto overlay video clip, not on another blank track. Otherwise, the mask filter will be applied on the background video. 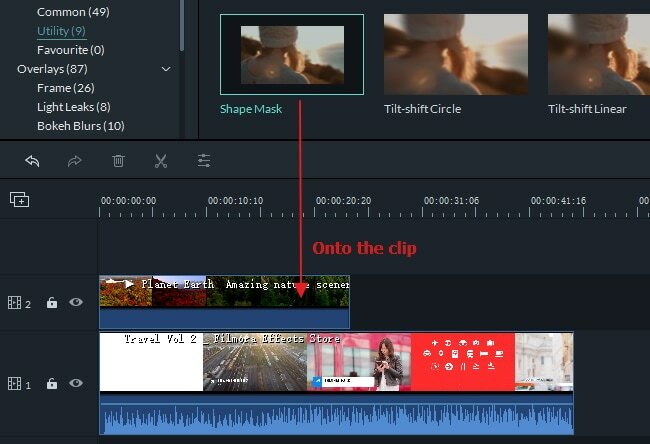 After double click on the overlay clip, a video editing panel will be opened at the top lefe corner. Go to Video Effects to adjsut X, Y, width, height and feather. If you want to a rectangle or round overlay, drag the yellow dot to left or right in the preview window. If you want to make image overlay, drag a picture to timeline. Go to Effects > Filters > Utility > Image Mask. Drag it onto overlay clip. 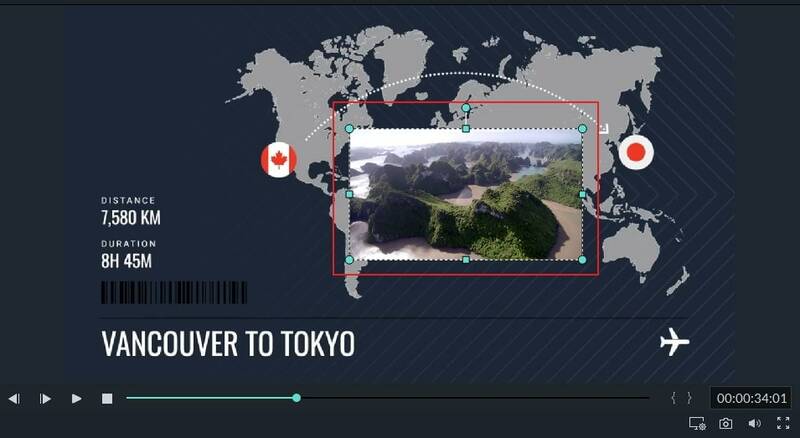 Double click on the overlay clip. Then you can change image shape mask at the video editing panel. Just select one preset you like. You can also directly reposition it in the preview window. After double click on the overlay video clip in the timeline, you will see compositing tab in the control panel. Select a blending mode (i.e. multiply, darken, or color burn). You can fine tune the opacity until you have the look you want. Split screen: If the version you are using is Filmora9 before, you will learn how to split screen in this PDF document(4.8).